The Tire Technology Expo, one of the world’s most important trade fairs and conferences devoted to the tire industry, awarded the title ‘Tire Industry Supplier of the Year’ to German synthetic rubber manufacturer LANXESS in Cologne on February 10. This high-profile event each year includes the presentation of the prestigious ‘Tire Technology International Awards for Innovation and Excellence’. 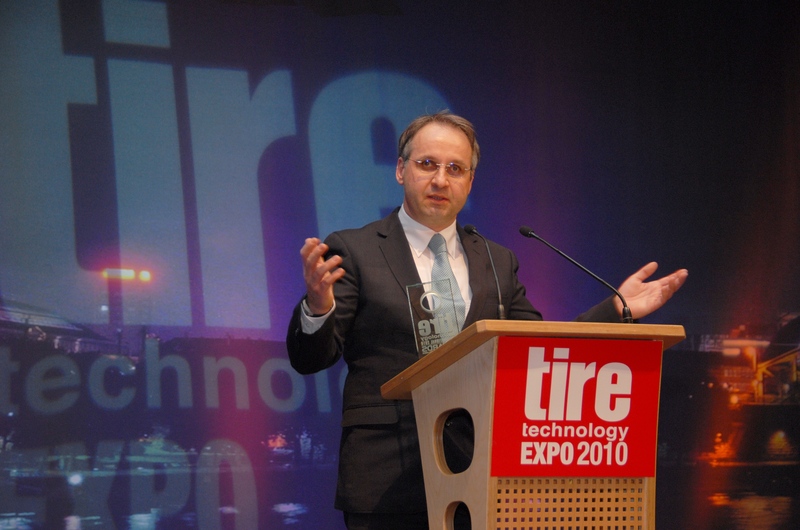 The panel of judges, comprising international representatives of the tire industry, automotive industry and research, selected specialty chemicals group LANXESS as the winner in the “supplier” category as an acknowledgement of the key role played by research in the company’s business activities. According to the judges, the company’s achievement is reflected in its development of innovative high-performance rubber materials for tires which provide clear advantages in energy consumption, safety and CO2 emissions and therefore help to conserve the environment. Christoph Kalla, head of marketing in the LANXESS Performance Polybutadiene Rubbers business unit, who received the award on his company’s behalf, said: “We are very proud to receive this prize which we take as a credit for our efforts in rubber research and development.” Also, the establishment of a global network that creates highly efficient partnerships between manufacturers, customers and research institutes all around the world was a major reason for the judges’ decision. More than 500 tire industry professionals were there to see the awards presented live at the world’s biggest celebration of tire excellence. Together with Kalla on the podium were representatives of the winners of the other four award categories, which are ‘Tire Manufacturing and Design Innovation’ (Kumho – Laser Etching Technology), ‘Environmental Achievement’ (Goodyear – Bio Isoprene Concept Tires), ‘Tire Technology’ (Sumitomo Rubber Industries – Fourth-generation runflats) and ‘Manufacturer of the Year’ (Michelin). The high-profile conference, coupled with one of the industry’s largest exhibitions, is considered a must for all involved in the tire making process. Attendees come from more than 45 countries, and over three days delegates have the opportunity to follow presentations from leading experts on the very latest developments in the tire manufacturing industry. This news release contains forward-looking statements based on current assumptions and forecasts made by LANXESS AG management. Various known and unknown risks, uncertainties and other factors could lead to material differences between the actual future results, financial situation, development or performance of the company and the estimates given here. The company assumes no liability whatsoever to update these forward-looking statements or to conform them to future events or developments. LANXESS is a leading specialty chemicals company with sales of EUR 6.58 billion in 2008 and currently around 14,600 employees in 23 countries. The company is represented at 43 production sites worldwide. The core business of LANXESS is the development, manufacturing and marketing of plastics, rubber, intermediates and specialty chemicals. All LANXESS news releases and their accompanying photos can be found at http://corporate.lanxess.de/en/media/press-releases/. Recent photos of the Board of Management and other LANXESS image material are available at http://fotos.lanxess.de/index_en.html. The latest TV footage, audiofiles and podcasts can be found at http://corporate.lanxess.com/en/media/audio-video/. 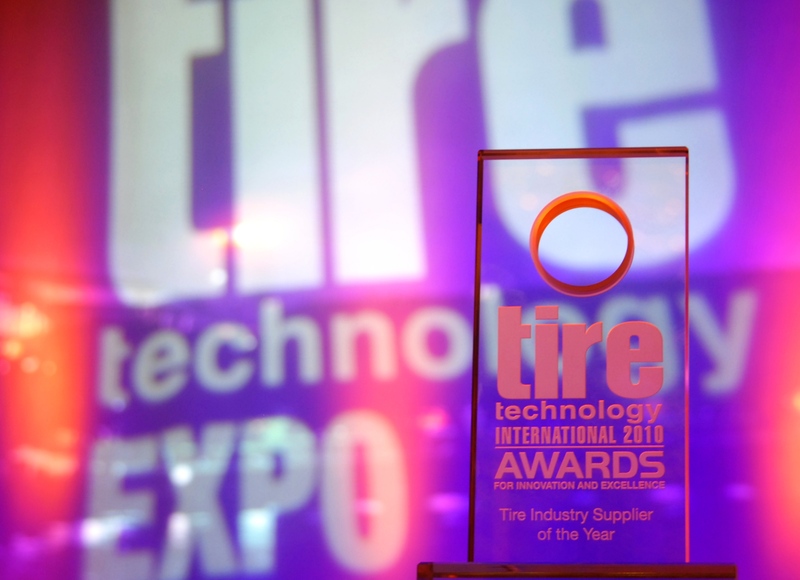 The Tire Technology Expo awarded the title ‘Tire Industry Supplier of the Year’ to German synthetic rubber manufacturer LANXESS in Cologne on February 10. Christoph Kalla, head of marketing in the LANXESS Performance Polybutadiene Rubbers business unit, accepted the award with pleasure. The event is deemed to be one of the world’s most important trade fairs and conferences devoted to the tire industry. LANXESS was awarded as "Tire Industry Supplier of the Year"